The proven track record and the strong presence of Rontis in the domestic and international healthcare market led us to the development of the Dermaceutical Division with the aim to provide innovative dermaceutical products with excellent quality and incomparable efficacy, covering the various daily and specialized needs. 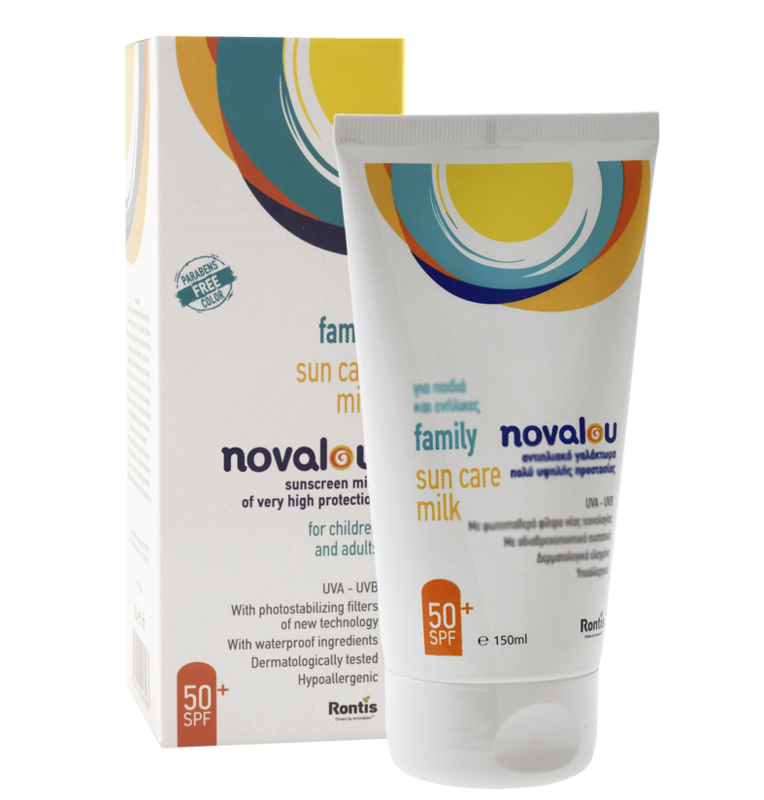 Rontis has recently introduced to the Greek market the complete range of Novalou daily care and sun care products. 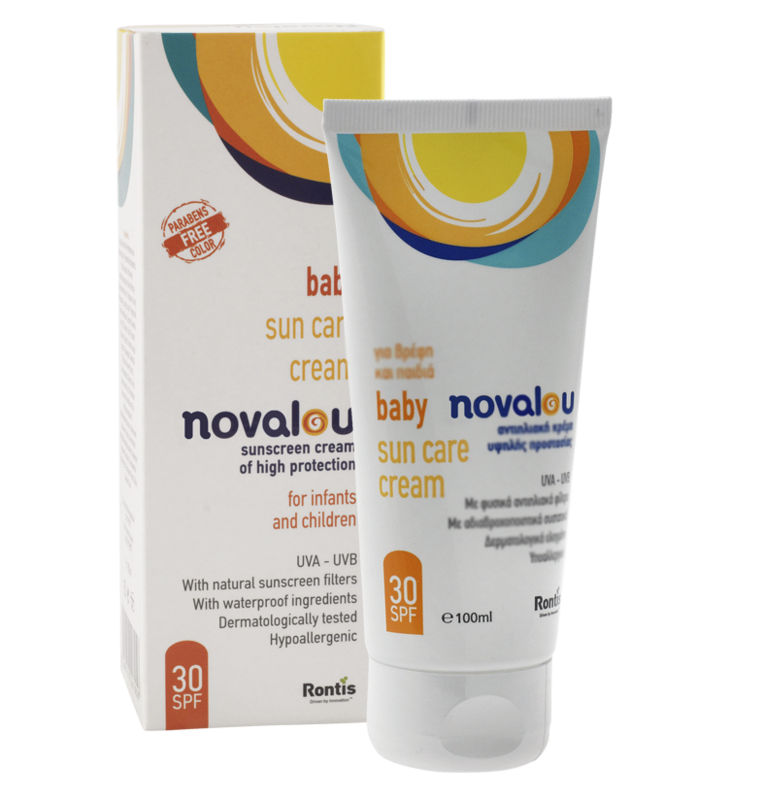 Novalou series of products are especially designed and studied to deal with the needs of infants and children skin, by providing a complete approach to skin care and protection. As a specialist in the Dermaceutical sector, Rontis has developed Novatopia niche series of products for the daily and holistic care of sensitive, dry and atopic skin. Novatopia products are especially designed for the specific needs of atopic skin and contribute effectively to the strengthening of the epidermal barrier and the reduction of irritation and inflammation. Mild hydro body milk, for the sensitive skin of babies and children, suitable for after every day bathing. Treats and mollifies irritations, caused by the sun, cold, wind and air pollution. Absorbs easily without leaving oiliness. Suitable for treatment of eager dryness. After bathing, spread the product all over the body, on dry skin. Mild bubble bath, with gentle surfactants, herbal cleansing factors, herbal extracts and D-panthenol, for every day bathing of babies and children, and for the topical cleansing of the crurogenital area. Cleans gently, without irritating the skin. 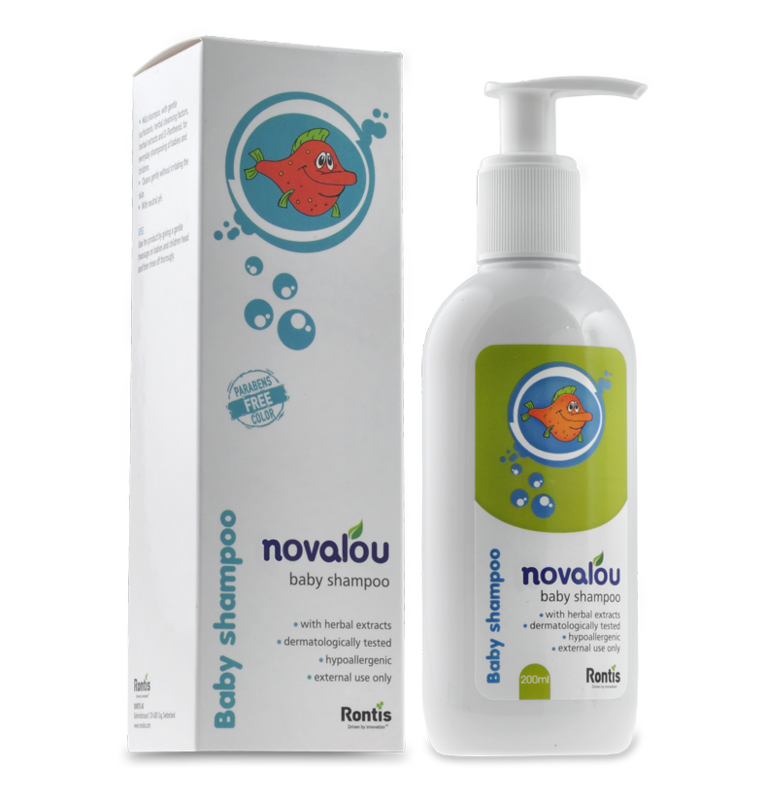 In tepid water, pour a small quantity of Novalou Baby Bath; rub lightly, rinse off and towel thoroughly. Mild shampoo, with gentle surfactants, herbal cleansing factors, herbal extracts and D-panthenol, for every day shampooing of babies and children. Use the product by doing a gentle massage on babies and children head and then rinse off thoroughly. Mild, protective and waterproof cream, for every day care of the crurogenital area, after every diaper change. Suitable for babies and children, and also people in sprawl condition. Apply a layer of the cream on clean and dry skin (especially within skin ripples), after every diaper change, or as often as necessary. Sunblock milk of very high protection with SPF50+ for body and face. It provides very high protection to the whole family due to the photostabilizing filters of new technology that it comprises. With the vitamins A and E and the herbal extracts Curcuma Longa and Calendula that it contains, it contributes to the protection and hydration of the skin, protecting it from irritations and solar radiation. Sunscreen milk of very high protection. With photostabilizing filters of new technology. Apply the sunscreen cream to the skin at least 30 minutes before sun exposure. Repeat in regular time periods. Body and face sunscreen cream of high protection with SPF30 for infants and children. Due to the natural sunscreen filters, the biosaccharide and the vitamin E that it comprises, it provides high protection against solar radiation. It contains panthenol that contributes to the protection and the hydration of the skin. Sunscreen cream of high protection. Emollient cream with excellent absorbency and an especially formulated composition for the holistic treatment (care) of dry and atopic skin*. Rich in natural peptides of Alisma Plantago (Indufence) and vegetal ceramides, which achieve a high level of hydration, reduce irritation and enhance epidermal (biological and mechanical) barrier. With prebiotics (Biolin P) for enhancing the immune system of the skin. Use in face and body. For infants, children and adults. Apply daily 2-3 times to dry skin and massage gently. Ideally, apply after cleansing of the skin with Novatopia emollient milk bath. Use in recessions and exacerbations, even in combination with medication. Extra mild emollient cleanser with an especially formulated composition for the holistic treatment (care) of dry, sensitive and atopic skin*. Use in face, body and scalp. For infants, children and adults. With mild cleansing agents that do not irritate sensitive skin. Apply a quantity of Novatopia emollient milk bath, mixed with tepid water on skin and scalp and massage gently. Because of its excellent softness, it can be used undiluted. Rinse thoroughly and wipe off gently the skin. In order to achieve greater hydration of the skin, apply Novatopia emollient cream after every use.